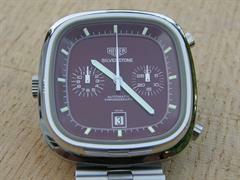 This red Silverstone is in mint condition and had just been refurbished by TAG Heuer in La Chaux-de-Fonds, Switzerland when I got it. 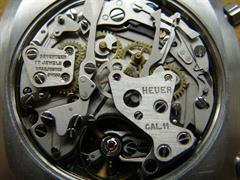 It had new pushers, crown, crystal, a relume on hands and dial and the movement was serviced. 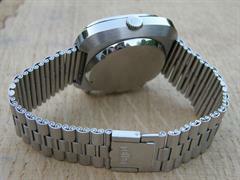 It is fitted with a perfect original Heuer bracelet. 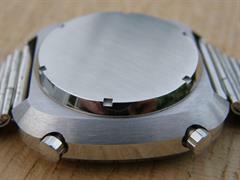 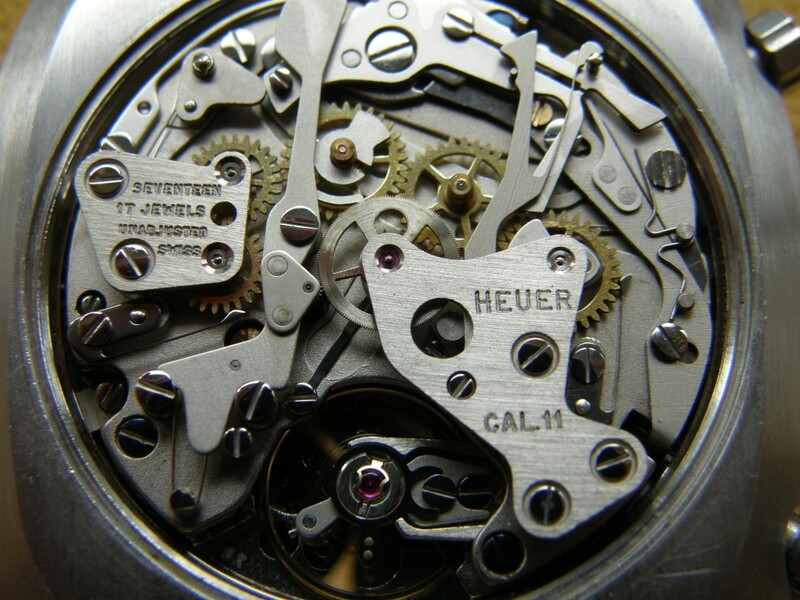 It has a caliber 11 movement which is strange as a Silverstone should have a caliber 12. 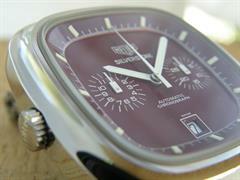 I have asked the factory and fellow Heuer collectors to comment on this, but have not found an explanation. 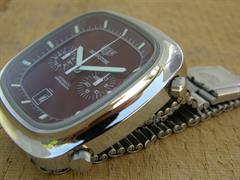 Jasper from www.classicheuer.de had a Silverstone with caliber 11 for sale so this is not the only one.